WHAT HAPPENS TO CAYLEN ?? CAN HE BE SAVED???? A MUST READ BY ALL NEW RELEASE!!! 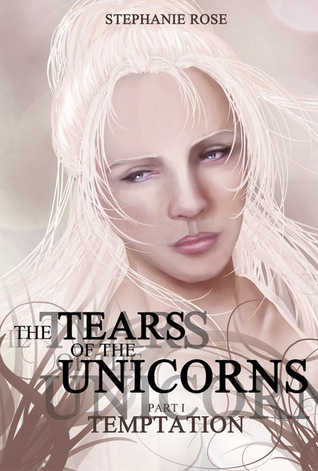 I rec’d an ARC of Tears of the Unicorn from the author Stephanie Rose. In exchange for an honest for opinion. This is MisMousey’s very honest opinion of the most delightful story. I was honored to have been asked to been asked to read her novel. Having never read any of her works before this one. I did not know to expect. Once I opened my e-copy of it and started reading reading it. I was hooked! Had to keep going and reading on & on. I gabbled it up as fast as I could. The way in which the author has written this ya story keeps the young at heart wanting more and more. With each new page that the reader turns, you find yourself deeper into the world of heavenly beings and creatures that you thought were a myth. I was astonished in the which the way the author the was able to bring the world of both living an the heavenly plain together. This is an incurable story of a teenager who feels likes no one loves her and she has no place where she belongs, The only place where she truly belongs is in the forest. Ms. Rose has a true way with words and story telling . She can reach both the young and the young at heart. Her words are so magical and flow with a touch heavens. That you are able to see and picture everything taking place as it been written. The story is about one such angle Caylen who has been given the duty to go the earth and assist an young teenager help restore her white light. When he finds out that he failed her Eilya – he sets out at all cost to right his wrong. . Even stealing the Holy Grail- and setting out to get take the tears of a young unicorn. Just so he can restore her life. But doing so he – set out a whole lot of destruction. Can his sister save him?? Can the good side of Caylen keep the white light inside of him?? This story has so many twist an turns in it. That you just need to read this amazing- fantastic-terrific- OMG it is a MUST READ FOR ALL. Mismousey gives this new release a firm rating of 55 out of 5 stars. NOW RUN AN GET YOUR COPY TODAY!! MS ROSE THIS BOOK IS TRULY GENIUS !!! I am looking forward to more of your books!! Stephanie Rose, born on May 15th 1987 in Heilbronn/Neckar and grown up in the small town Gundelsheim, has been handed down the artistic skills by her father, a master goldsmith and artist of expressionistic arts. Endowed with a lively imagination and always fascinated by myths and fantasy stories, she started to write her first poems and short stories during her schooldays. The first ideas for her novel “Die Tränen der Einhörner” (Tears of the unicorns) spontaneous came to her while working on a little project with her best friend, a love story between the elements of Water and Fire. This story fired her imagination to use the idea of the elements and create a mystic new world. Apart from writing, the young author pursuits her second major hobby, the collecting of Mangas with great enthusiasm and also draws in that style. She specialized in drawing featuring Light, Peace and Serenity. Also the fascination of magical beings is often being featured in her works. Job-related, Stephanie started in the artistic genre as well and runs an small company for advertisement and design. Alongside that she also works at the German Red Cross in Heilbronn as an ambulance driver and in her free time supports her husband, a doctor and Jazz musician, with his practice and organizes his musical activities. ← CAN OFFICER ROSE GET THE DRUG LORD AND SAVE AARON IN THE PROCESS? ?